Next month’s Panorama Music Festival takes music fans smack in the middle of summer in New York City. The season for outdoor festivities, food, art and live music is in full swing. 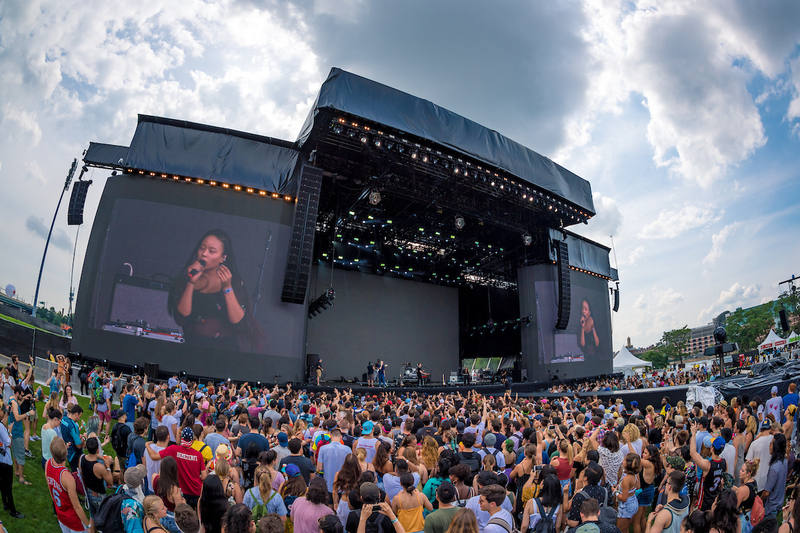 In the city that doesn’t sleep, Panorama stands out above the rest after two years of success on Randall’s Island. Brought to the east coast and produced by Coachella organizers Goldenvoice, Panorama brings an equally impressive experience. The Nocturnal Times has the scoop on who you should make sure to see at Panorama New York City on July 27 -29. Below are our five Acts To Catch this year. Kicking off our list, Abel, better known to his millions of fans around the world as The Weeknd, headlines Friday night in NYC after a mesmerizing spectacle on the Coachella mainstage back in April. Staying true to his style and artistry, The Weeknd has come a long way, creating radio hits the likes of “The Hills,” “Starboy” and most recently “Pray For Me” alongside Kendrick Lamar. Whether you’re a diehard who has followed him through his nearly decade long career or a fan that joined the club since his rise to superstardom, you won’t want to miss The Weeknd’s Panorama performance. Touring the globe, selling out arenas and gracing festival main stages, Dua Lipa is one of the hottest acts in all of music. Today’s Top 40 radio and most listened to pop channels have Dua Lipa’s hit songs blasting out quite consistently. Huge chart topping tracks from the past year include her mega-catchy “New Rules,” “IDGAF” and the new Calvin Harris collab titled “One Kiss.” Chances of finding another female vocalist on this type of high are slim to none. Make sure to catch Dua Lipa’s highly anticipated ensemble on Friday evening. Just announced and added to Saturday’s lineup as a headliner, Lil Wayne is a rapper/hip-hop legend with an extensive career and discography. The Young Money label member and music mogul will be replacing Cardi B since announcing her pregnancy, but after she held an original slot on Panorama’s lineup card. Lil Wayne brings more of the old school style and some of his fire classics to the festival stage. Long time hip-hop fans are not mad in the slightest about the switch as Wayne will surely have surprises in store. Making their comeback with live shows and new music, The Killers are set to take on the Panorama main stage on Sunday night. Crowd sing-alongs are sure to ensue for the internationally acclaimed American rock band. Music lovers who’ve grown to love The Killers, for the better part of two decades, will undoubtedly know the words to timeless hits such as “Mr. Brightside,” “Somebody Told Me” and their newest one “The Man” to name a few. Being that they’re no strangers to sold out shows and massive crowds, The Killers are the ones to watch shutdown Panorama in style. Arguably one of the most renowned and most sought-after electronic dance music acts coming out of America, Odesza is the epitome of live EDM. The band is made up of producers Harrison Mills and Clayton Knight who hail from the same musical beginnings in college and turned into their Grammy nominated duo, Odesza. Notable originals from the band include “Say My Name” and “Higher Ground” with popular remixes of vocalists the likes of Sia and Charli XCX. If you’re a fan of beautiful music and good vibes, Odesza rounds out our list of must catch acts at Panorama New York City on Sunday night.